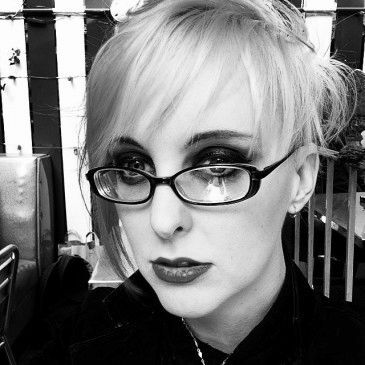 Chandra Free is writer and illustrator of The God Machine graphic novel series. Born and bred into captivity of Orlando, Florida, Chandra (pronounced CHAN-drah, like Jackie CHAN) can now be found in her present-day home, blissfully away in the land of New York. It is here that she concocts her uniquely abstract and elongated art and comics. Intensely interested in the incorporation of psychology into her art, she focuses on the unconscious and human aspects of her characters. In addition to The God Machine, she has worked as a digital painter on the comic series Sullengrey by Ape Entertainment, a colorist on the comic series Mice Templar by Image, and as an illustrator on Jim Henson’s Fraggle Rock by Archaia. She also provided digital paintings for the illustrated prose novel, Conspiracy of the Planet of the Apes, and has illustrated numerous album covers. She has adapted as well as illustrated T.S. Eliot’s The Wasteland for the comics publication The Graphic Canon. She has also done storyboards for the upcoming movie, The Monkey King and character designs for an animated pilot. Chandra is also the art director of the guerrilla studio BLAM! Ventures. On her off time she considers herself an amateur “Foodie”– looking for the holy grail of coffees, the most savory bowl of Japanese ramen, the quintessential green tea item, the most mouth-watering sashimi, and the weirdest food she’s never encountered before– all on the isle’ of Manhattan. She’s also an avid Venture Brothers fan, a retro video gamer, collector of arty-indy comics, infrequent participant of the “goth” scene, and girl adventurer!